Reineclaude (Prunus domestica 'Reine Claude', Queen Claude in French) is another plum variety. 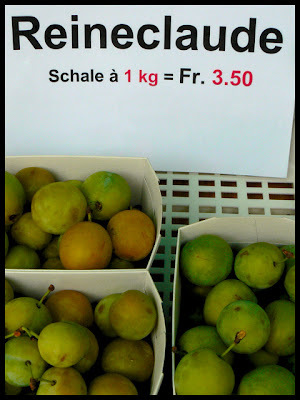 You might be more familiar with the name greengage (Wikipedia). The cultivar was developed in France and was imported to the US in the mid-1700s where it was grown by both Thomas Jefferson and George Washington on their plantations in the lower mid-Atlantic states.